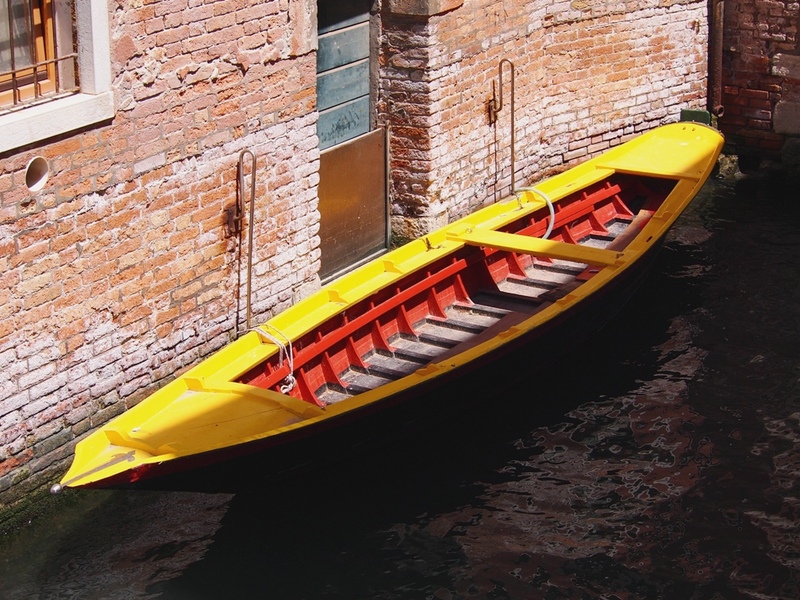 Explore the canals of La Serenissima and you'll find more than just her beautiful gondolas. Turn a corner and you might come across a little gem like this. We could speculate quite a bit as to what her story is, but I'm sure of one thing - somewhere out there, there's a boat owner who loves this little vessel. She appears to have some years behind her, but also looks cared for. 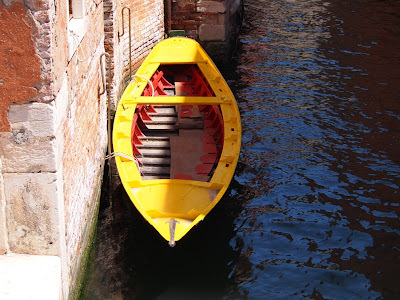 Whoever owns the boat has probably spent some time and money maintaining her, and the owner probably likes yellow too!